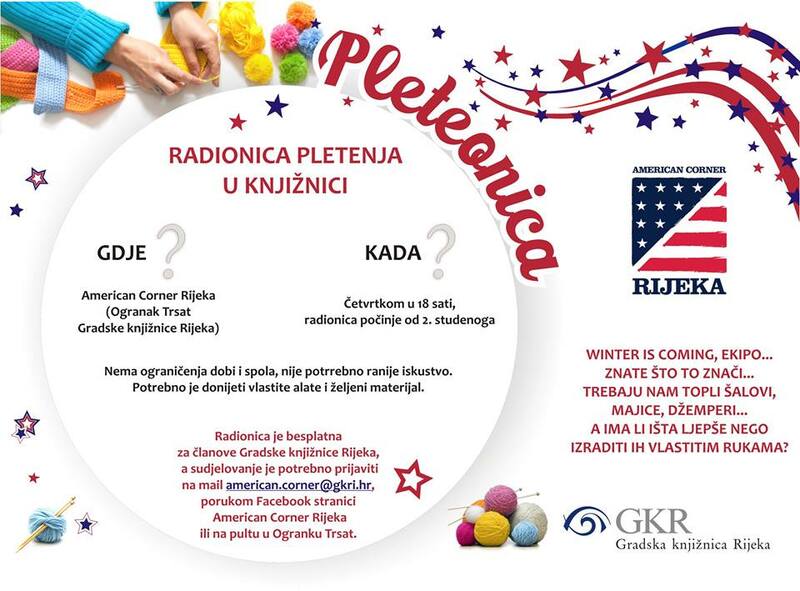 The petticoat is praising a valuable project that he started American Corner Rijeka (Trsat City Library of Rijeka). 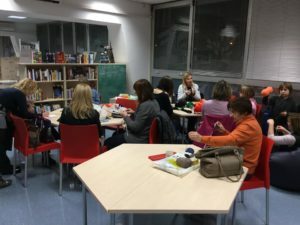 The Plethora is a five-week workshop cycle where all those who want to learn knit can come and those who already have the knitting experience to knit together in a pleasant and relaxing atmosphere. 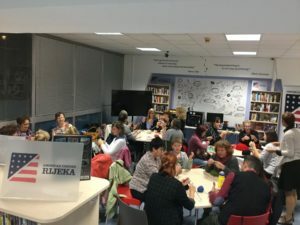 The workshop is intended for all members of the Rijeka City Library regardless of gender and age. We are invited as workshop leaders which is a great pleasure! Given the great interest of small and adult pies we will try to share with you at least a fraction of the atmosphere and give you impressions from previous meetings. At the first meeting, a lot of interested members gathered and was very busy and tense as it started with the hardest part, which is the imposition of the eyes. When the eyes are pushed forward, going much easier. Those who have had an encounter with needle and wool have quickly recalled the forgotten skills, and those less experienced have longed to help with new knitwear. After the first two encounters and several attempts at chewing and kicking everyone learned to impose their eyelids but started to make the right point. The papers began to be silent. The second time the relaxation effect was immediately visible. We can say freely: relaxation in the old way. At each workshop, a boy or girl who skillfully drew the first points with his fingers appeared. Some came just as a companion, but they could not resist that and they did not make at least that line. So far, the first works have been finished. Sometimes a shawl was jerked, some encouraged and knit into a circle with a set of five needles. We have sampled various combinations of true and false eyes. We tried to make braids and learn how to finish the work. By the end of each social gathering, single projects will be able to run independently. If they forget, they will easily be reminded with the help of our tutorials on the screen. Wonderful atmosphere with beautiful wickerwork in a very motivating ambiance! Read more articles on our home page news.